A tan cuban heel boot with buckle strap. 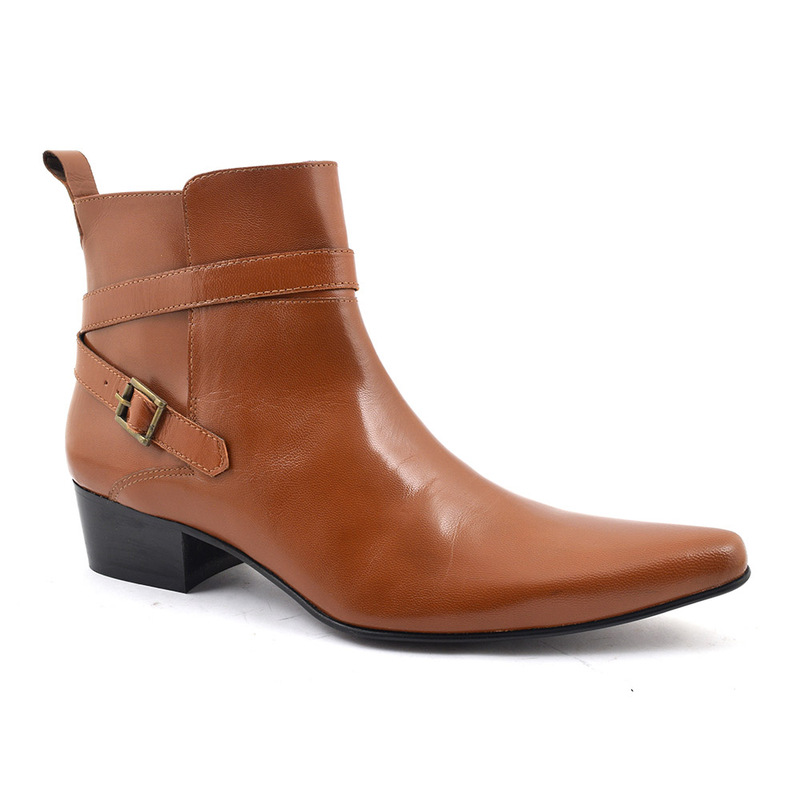 This caramel colour pointed toe boot is edgy and cool. The heel is 4.5 cm high and these would look fine with a pair of skinny jeans. Winklepickers in a contemporary way. 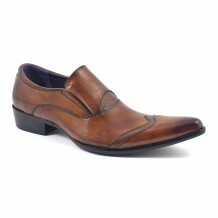 A fine tan buckle cuban heel boot for your edgy side. Why not invest in a pair of these mens heels? The height is 45mm and the kudos is immeasurable. You will be in the company of rock gods like the Stones and Beatles. Whether you are Indie or rock or just an individual who likes something out of the ordinary, these heeled mens boots are for you. 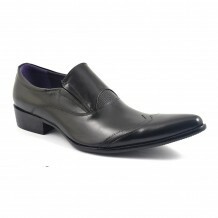 There are many terms for this style of boot such as winklepicker which originates form the Polish shoe called Crakow. This had a very pointed toe which was held up by a whale bone! Now thats another level of no pain no gain lads. The 50s saw a huge appetite for the winklepicker or cuban heel boot and the Teddy Boys and later the Mods had a voracious appetite for them. Even today you can see the sharp suit and these tan cuban heel boots working a treat as much as back in those days. But stick on some razored skinny black jeans and black everything else and the look goes goth. Whatever you want to wear with them, we know you are original and really all you need is confidence. Men can wear heels. Lets not forget they originated in war in the 9th century to enable men to stand strong in stirrups! 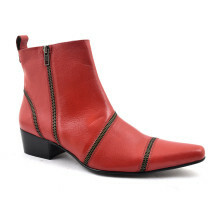 Be the first to review “Alfredo Tan Buckle Heel Boot” Click here to cancel reply.